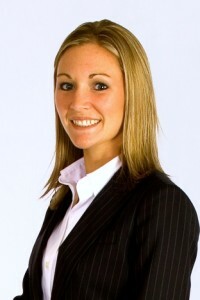 Amber Spurlock is a criminal defense attorney in Houston, Texas. She began her career as an Active Duty JAG in the United States Air Force. Then-Captain Spurlock prosecuted active duty military members in Courts-Martial at Eglin Air Force Base in Florida and Langley Air Force Base in Virginia, and served as a Special Assistant United States Attorney in both locations. During her time in the Air Force, Ms. Spurlock also spent seven months in Baghdad, Iraq, where she convoyed to the Red Zone five days a week to prosecute cases in Iraqi courts against Iraqi detainees charged with beheadings, executions, and IED detonations. Since returning to Houston in 2011, Ms. Spurlock has focused on defending DWI cases. She is a certified instructor of the Standardized Field Sobriety Tests, has completed the Forensic Chromatography, Solid Drug, and Driving Under the Influence of Drugs Courses at Axion Labs in Chicago and will finish her Master’s Degree in Forensic Science from the University of Florida this Fall. Ms. Spurlock is a member of the the Galveston County Criminal Defense Lawyers Association (GCCDLA), the Harris County Criminal Lawyers Association (HCCLA), the Texas Criminal Defense Lawyers Association (TCDLA), the National Association of Criminal Defense Lawyers (NACDL), the National College of DUI Defense (NCDD), the DUI Defense Lawyers Association (DDLA) and the The American Chemical Society (ACS).